Train services in Asansol division of Eastern Railway (ER) were affected due to subsidence of land below railway tracks near Kulti station today following heavy rain, an ER statement said here. Earlier, the railways said a landslip at the edge of a minor road overbridge near Kulti station had affected the train services. Patrolmen of the railways noticed the subsidence this morning and immediately informed the higher authorities, the statement said adding that the incident occurred due to heavy rain for the last two days. Train services in the Up direction from Howrah and Sealdah via this route have been suspended after the incident, it said. Train movement is being maintained normally in the Down line. Restoration work of the tracks has started on war-footing and the tracks are expected to be fit for train movement by the evening, it said. Up trains scheduled to pass through Asansol-Dhanbad Section were run via diverted route. Important trains, including two Rajdhani Express, pass through this route connecting Howrah/Sealdah with Delhi and other destinations in northern part of the country. 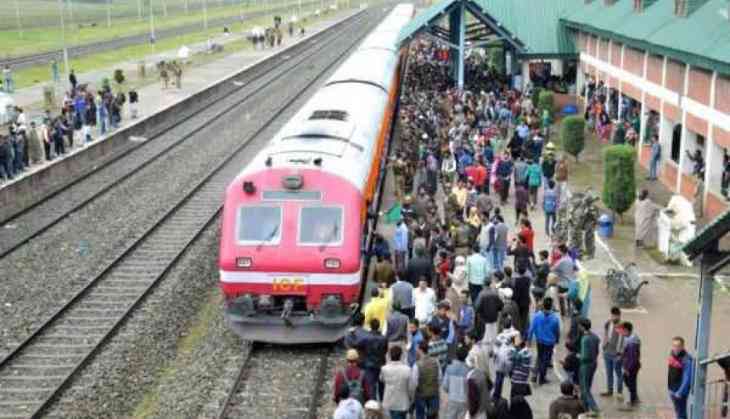 The 12019 Up Howrah-Ranchi Shatabdi Express and 53061 Up Barddhaman-Ranchi Passenger were diverted via Asansol-Burnpur-Adra, while 22387 Up Howrah-Dhanbad Black Diamond Express and 12353 Up Howrah-Lalquan Express were run via Sitarampur-Kulti link goods line.